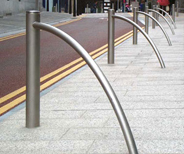 316 grade stainless steel with 2 mm wall thickness. 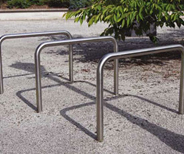 Available in polished or brushed finish. 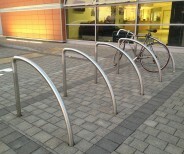 Stainless steel curved cycle stand with cast stainless steel cap and painted upright. 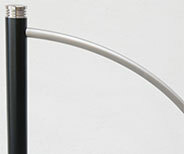 Stainless Steel Curved Cycle Stand with cast stainless steel collar & cap with painted upright. 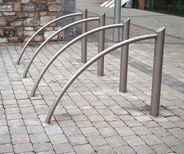 Hartecast manufacture a variety of stainless steel and galvanised steel bicycle stands for the UK market from the classic cycle stand to the more design led styles to accommodate up to two bikes. 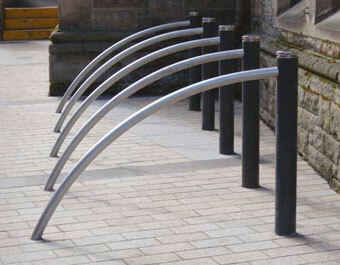 View our range of durable and long lasting cycle stands and cycle racks from our website. 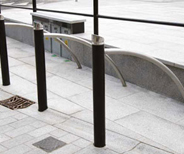 We have a large variety that of stands that are suited for outdoor spaces across the UK.